Armenian jazz is 70 years old. 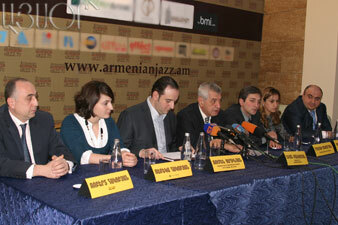 The chronicle of this music genre started in 1938, since the day of establishment of Armenian state jazz band. Today the members of organizing committee of «Armenian jazz 70» project summed up jazz year and pointed out that the project is not over hereby, it will be continued. The chairman of the organizing committee, Honored Artist of Armenia Levon Malkhasyan said that the project has been carried out completely, concerts have been held in fully packed halls and what is more important, majotity of the audience were young people. 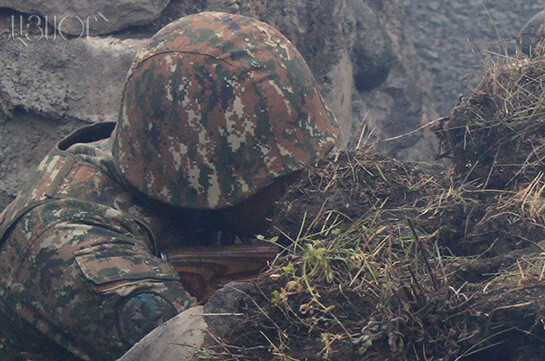 «2008 left its trace in Armenian history. On the occasion of anniversary many books will be published. First book will tell about events that took place in the project «Armenian jazz 70», the second book will tell about the history of Armenian jazz», said the academician of TV and radio international academy Ruben Jaghinyan. During the whole period the Ministry of Culture was supporting the project «Armenian jazz 70» and the minister granted them gold medals for their work. Among the awardees were Levon Malkhasyan, Ruben Jaghinyan and Stepan Shakaryan. Journalists were interested which world-famous star was paid largest sum of honorarium. Levon Malkhasyan replied that Al Jarreau was paid most. «Concert devoted to 80 years of Konstantin Orbelyan was held without any honorariums, however, more financial investments were required», said Ruben Jaghinyan and added that «this concert was one of the warmest and most indispensable-for-our-city concerts». Answering the question concerning «star caprice», the members of organizing committee said that «Al Jarreau was a simple man and he often repeated that his shoes were maid by an Armenian. Tatevik Hovhannisyan was direct and simple. Only Larisa Dolina expressed a kind of caprice, though».